Evangelist Diana Asamoah has launched the maiden edition of her annual concert, Abba Father in Accra. Managment of the minstrel at the launch which happened on Friday, November 10 mentioned Ohemaa Mercy, McAbraham, Ceccy Twum, Bro. Sammy, Winneba Youth Choir and other gospel musicians as supporting artistes for the upcoming show expected to happen at the Accra International Conference Center. Diana Asamoah speaking at the concert launch said the show is to thank God for the peace he has given Ghana a year after the election. 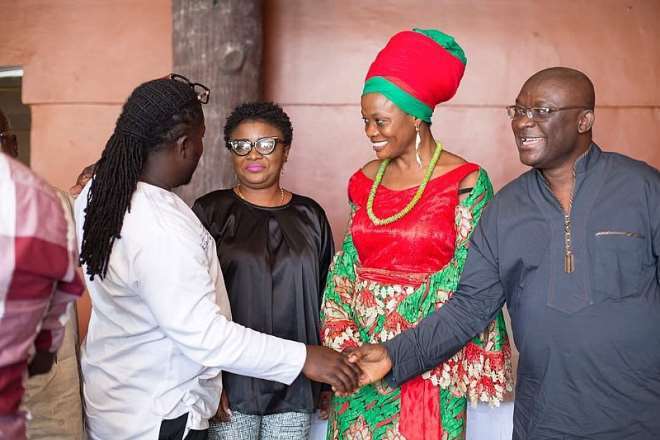 According to her, she promised God to have a Thanksgiving event a year after a peaceful election so the December 3 concert at the Accra International Conference Center is the fulfillment of her vow prior to the 2016 general election. 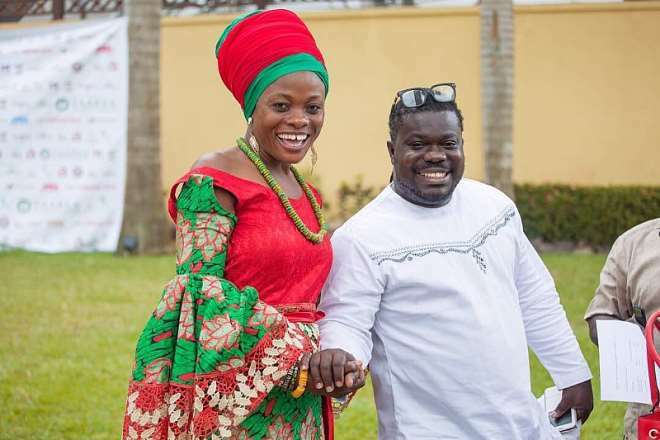 The “Akoko Abon” singer further urged Ghanaians to attend the event in white to praise God for His goodness and mercy upon the country. She added that “whoever is in fear ahead of the Christmas because of accidents should also come to give his body to Christ on the day”. 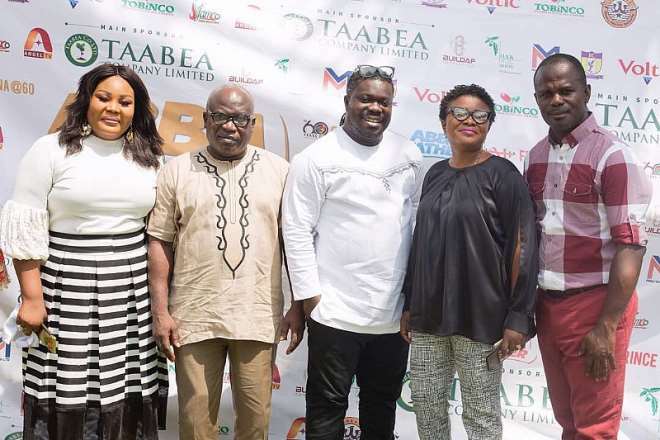 Renowned ministers of the gospel, McAbraham, Ohemaa Mercy and Ceccy Twum who were at the “Abba Father” concert launch pledged to be a blessing to the event goers who will at the concert on December 3. 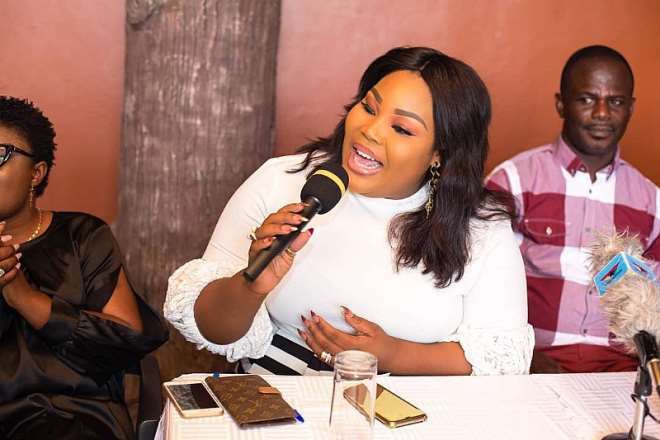 Present at the launch hosted by music producer Kwesi Ernest were MUSIGA President, Bice Osei Kufuor, CEO Of Frimprince Music Production, Mr. Annane Frimpog aka Frimprince, Ohemaa Mercy, Ceccy Twum, McAbraham, Ohemaa Mercy’s husband, Mr. Isaac Twum-Ampofo, representatives from the sponsors and the media. Tickets for the event are selling at Gh50 and Gh100 for regular and VIP respectively.